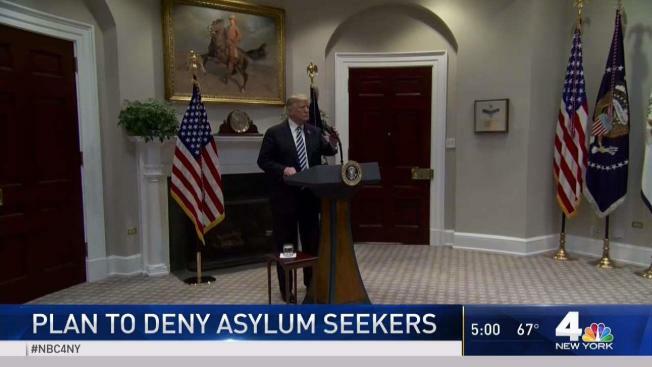 On Thursday, President Donald Trump announced changes to asylum seeking. Melissa Russo with the latest. More than 7,000 active duty troops have been told to deploy to Texas, Arizona and California. They are a mix of forces, including military police, an assault helicopter battalion, various communications, medical and headquarters units, combat engineers, planners and public affairs units. As of Friday, one week after the Pentagon acknowledged that Defense Secretary Jim Mattis had approved a Department of Homeland Security request for military support at the border, the troop deployment was still unfolding, with about 3,500 at staging bases in the Southwest. Of those, about 2,250 active duty troops are at staging bases in Texas, about 1,100 Marines are at Camp Pendleton in California and fewer than 200 are in Arizona. About 100 troops are actually on the border, at the port crossing near McAllen, Texas. Most of the troops are being used to facilitate the movement of border patrol agents, house them, feed them and provide some of their protection. WHAT IS THEIR ROLE ON THE BORDER? The Pentagon is adamant that active duty troops will not do law enforcement, which they are forbidden from doing under the Posse Comitatus Act in the Constitution. Troops can't arrest people at the border. Their main job will be to support the Border Patrol. This means the military will transport border patrol agents to and along the border, help them erect additional vehicle barriers and fencing along the border, assist them with communications and provide some security for border agent camps. The military also will provide the border patrol agents with medical care, pre-packaged meals, and temporary housing. Yes, many of them will be, mainly for self-protection. Military police at the border will be armed, although they will have non-lethal options for dealing with unexpected conflict. Pentagon officials say they are planning for a worst-case scenario of violence that could force soldiers to rely on their training to make split-second decisions to defend themselves or civilians. MPs might, for example, be dispatched to provide armed security for military engineers placing barricades at locations where there are no border patrol agents to provide protection. One day after Trump suggested soldiers on the southwest border may open fire if migrants throw rocks at them, he insisted Friday that he meant that rock-throwers would be arrested. "I didn't say 'shoot,'" he told reporters at the White House. Either way, his scenario of violence captures in a nutshell the risk of using active duty troops for domestic security: Their mission does not include confronting migrants, but some may be unable to avoid it. The commander in charge of the military operation, Air Force Gen. Terrence O'Shaughnessy, head of U.S. Northern Command, said earlier this week that handling migrants will be primarily the job of the Customs and Border Protection agency. But he acknowledged "there could be incidental interaction" between migrants and soldiers. In light of that possibility, the soldiers "are going to be fully trained in how to do that," he said. Lt. Col. Jamie Davis, a Pentagon spokesman, said the military will not disclose details of its rules on the use of force. DOES CONGRESS SUPPORT THIS MISSION? With members of Congress focused mainly on Tuesday's midterm elections, reaction has been mild. A group of senior House Democrats wrote a letter to Mattis on Thursday expressing opposition to the military mission and demanding answers on its cost. The deployment of active duty troops, they wrote, "only exacerbates the potential to unnecessarily escalate the situation." Chuck Hagel, a former Republican senator and Army combat veteran who served as defense secretary under President Barack Obama, told CNN the mission is "folly" because there is "no need, no threat." Retired Army Gen. Martin Dempsey, who preceded Marine Gen. Joseph Dunford as chairman of the Joint Chiefs of Staff, took double-barreled aim at the border mission. 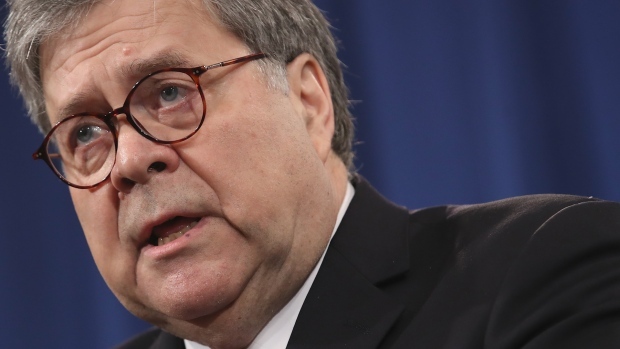 Writing on Twitter Thursday, he called the military mission a "wasteful deployment of over-stretched Soldiers and Marines" that would be "made much worse" if they used force disproportional to the threat they face on the border.